Sunrise Windows & Doors realized that windows aren’t something you purchase every day. That’s why Sunrise partnered with dealers locally who are experts and understand how to help you choose the perfect windows and doors for your home and climate zone. And once you select your window, rest assured knowing your windows are backed by a lifetime, transferable, non-prorated warranty. 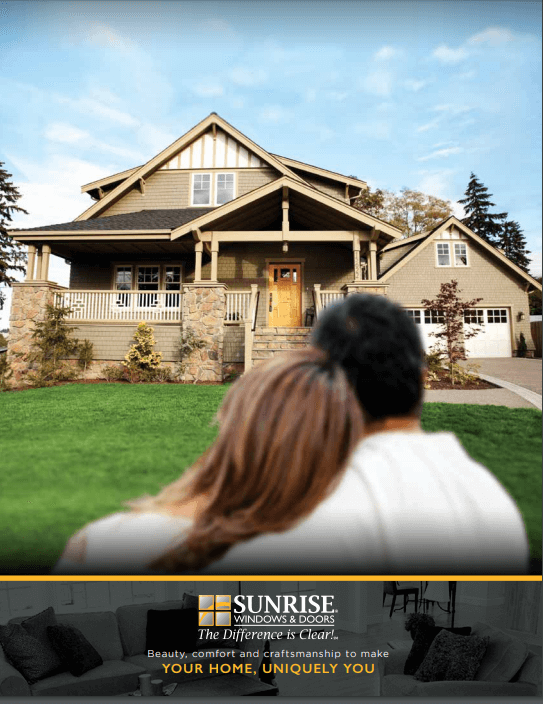 Why do we, at Discount Windows INC, like Sunrise’s Energy Efficient Windows and Doors? At the core, Sunrise is passionate about crafting beautiful windows and doors. Sunrise builds to the highest quality standards so you get the best performance and reliability in the business, plus the ability to personalize the look and feel you want. The company believe it’s their job to do everything possible for you to have an unmatched experience with our products, people and services. Consistently listed as a “Top 100 Manufacturer” by Window & Door Magazine, and Sunrise Windows and Doors been identified as one of the “Ten Manufacturers to Watch” by Door & Window Manufacturer Magazine. Of the more than 10,000 window and door manufacturers, fabricators and assemblers in North America, Sunrise Windows and Doors has also received several of the industry’s most coveted Crystal Achievement Awards for product innovation and manufacturing. Many factors contribute to windows being energy efficient, including installation, low-e technology and construction. While Sunrise’s competition may tout their awards, Sunrise have the numbers to back their products. A world where potential, performance and perfection meet. to Contemporary to Rustic — there are no compromises in beauty and performance with Sunrise Windows. Their gola is to help you create an environment that is uniquely you through beauty, comfort and craftsmanship.